On Saturday morning, Alan and I awoke to a buttery light filtering through the curtains. The weather was warmer than normal, so we threw the good sense our mothers had tried so very hard to instill aside and decided to dress light for an afternoon in the City. Who needed jackets and sweaters when it was barely 9:30 in the morning and you could already feel the day’s sweat coming in? With our mothers’ good sense thrown to the wind, we decided it would be a good idea to visit the new California Academy of Sciences. I mean, have you seen what this place looks like? The week before, the Mercury ran an article (?) about it. Actually, I can’t remember if an article was included because my attention was absorbed by the drawing of the museum detailing the exhibits and sights to see — a Rainforest Dome, a natural history museum, an aquarium, a planetarium, the African hall, penguins?! It’s almost as if the masterminds behind this somehow got a flashback glimpse of Kid Sobrina’s favorite museum things and decided to make it really easy for her by cutting out all the transportation time traveling between each museum/exhibit and had the decency and brilliant foresight to put it all under one roof. 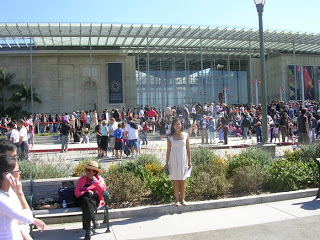 Unfortunately, it seems everyone else’s museum dream came true this past Saturday as the Cal Academy opened its doors. From the freeway back up, I started thinking there might be crowds, the crowds might be bad. Undeterred, we parked and followed the commotion to the museum. 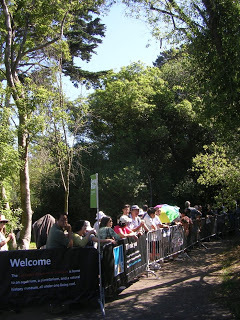 Finally, after seeing the line snaking its way around every turn of Golden Gate Park, we arrived upon the entrance. What we hoped we’d find once we got to it, I’m not sure. 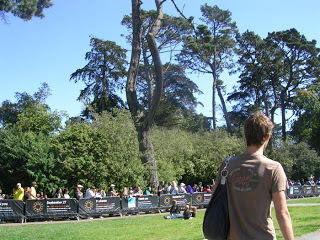 I think I sort of hoped in the tiniest corner of my heart that someone in a Cal Academy shirt would still be giving out tickets for entry. Instead, all we saw were people scalping their tickets and people haggling for lower prices. I almost jumped in a few times, more than willing to beat out other museum-goers by paying twice the face value of a museum ticket, until I realized that we had spent all our cash on lunch. Damn that achar gosht! 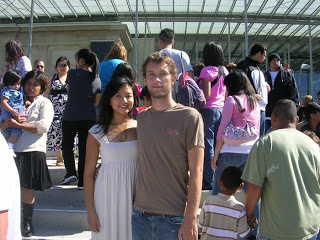 I went to opening day of the California Academy of Sciences and all I got was this lousy picture. i’ve been waiting for this opening since they closed down like 10 years ago! this is by far my favorite museum as a kid. let’s go the next time i’m back! I know! It’s gonna be so awesome! We need to go.